This is the first look for Singles Cruise that I’m doing! Click this link to read about the Singles Cruise challenge. Mid: Taupe with gold glitter. The glitter doesn’t quite show up on the eye. It’s not super blendable but it’s alright. Dark: Dat jewelled purple. Super glittery as well. Pop: Holy sheeet look at that grass green. 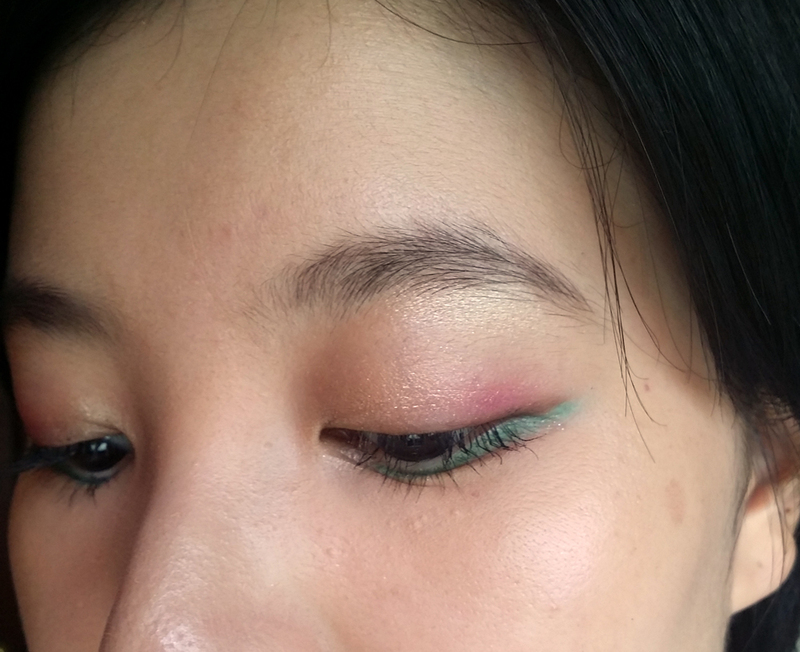 It’s totally matte, and pretty pigmented and smooth despite it being a super odd green shade. Swatches: Light, Mid, Dark, Pop. The green looks bad here, but I swear it’s fine! Haha. Gold in inner half, purple in outer half, taupe to darken crease (can’t really see it) and green for the lower lashline, tons of mascara and just a touch of brown liner at the outer corners. 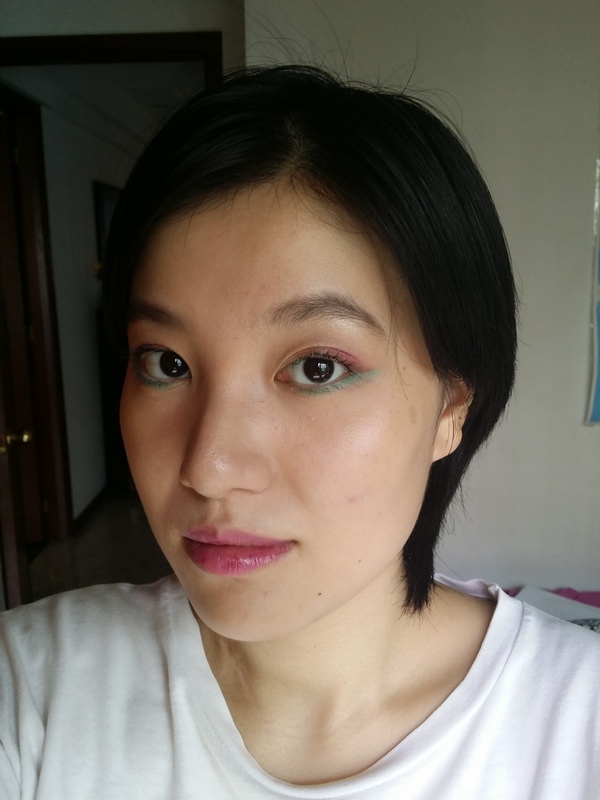 I was worried about a matte green’s staying power on the lower lashline, so I used NYX Milk as a base, which made it just a little more pastel than it was originally. It doesn’t look THAT bold in photos, but it was pretty bold IRL! 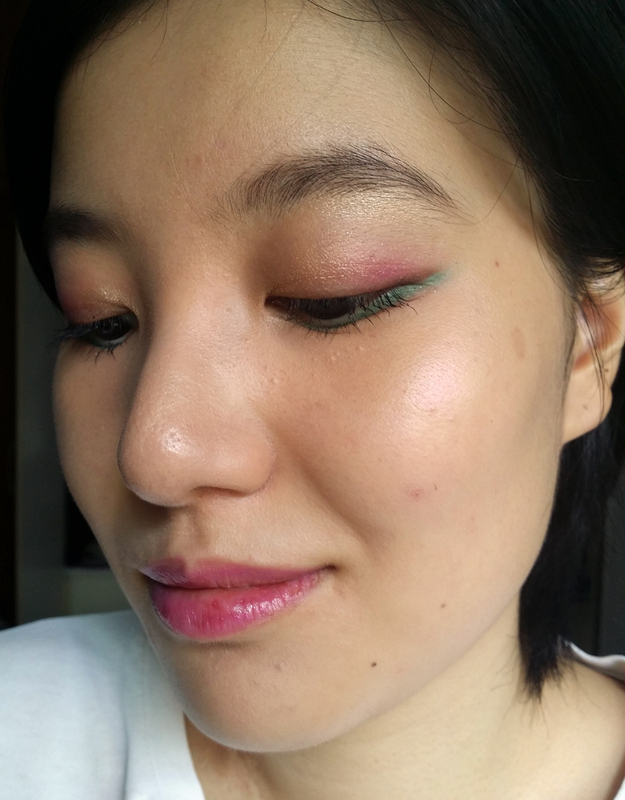 Because it was a pretty avant garde look (and much more colour than I normally wear, though it is fun for sure) I paired it off with a simple white tee and jeans. I had fun rocking this look!